Take a look at a typical NCAA weight room and you’ll see first hand the coaching carousal. The phenomenon isn’t unique to universities; you often see young coaches across the world changing job every few years in an attempt to fast track career development. Zack Nielsen might be young, but he’s learned the value of a different path: the value of staying put. 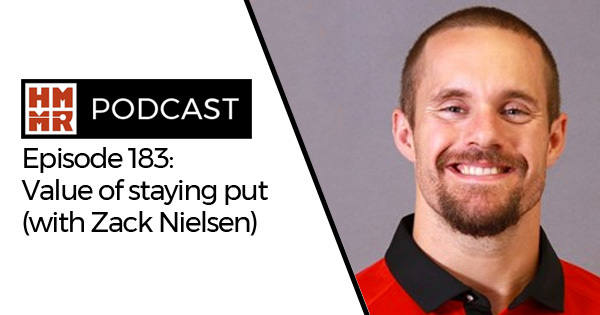 As head strength coach for Olympic sports at Eastern Washington University, he joins to the podcast to talk about the value of staying put in career (and life) development.